Carter Quinn Books: Today's the Day! It's finally here! 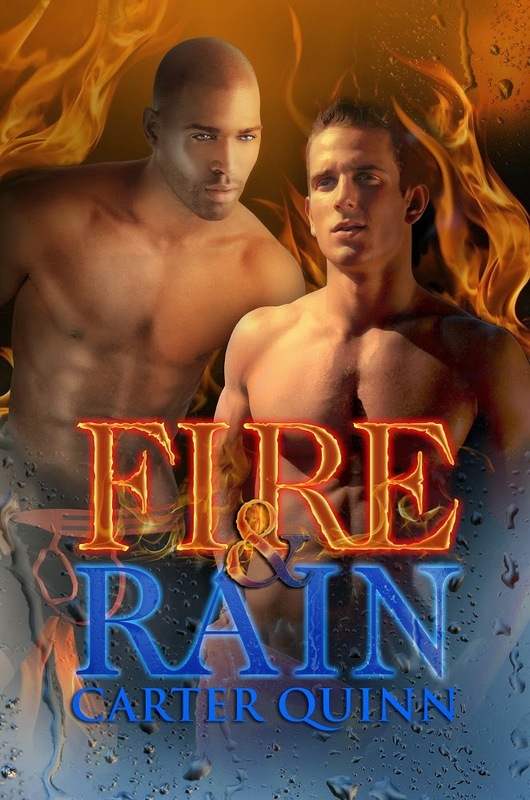 Today is release day for Fire & Rain. It feels like I've been waiting forever to get this in your hot little hands! I'm excited. I hope you love it. I love the interplay between Johnny and Eric. I think they're in for some fun times in the future. Below the cut you'll find links to the pre-release and release day reviews, and maybe a buy link or four. I've enjoyed the support of a lot of readers and reviewers since I was first published. I want you all to know how much I appreciate it. Without you, I couldn't do this. Also I want to thank Carli, Dianne, and Marilyn for creating a fun and fabulous Release Party on Facebook for me and Marie Sexton. If you haven't read Marie's new book, you're doing it wrong. Go check out Apartment 14 and the Devil Next Door, the sequel to Chapter Five and the Axe-Wielding Maniac. I love those titles! As a reward for reading below the cut line, here is a little bit of brilliance my friend JK Hogan created. She was dying to see Johnny in drag. What do you think? Didn't she do a great job?